As far as collections go, the Fiftysix is Vacheron Constantin’s newest – loaded with mid-century charm and lots of sophisticated details, like a complex, multi-textured dial and a pleasingly idiosyncratic case. This year saw the addition of a striking new dial — a rich colour specific for the Fiftysix collection called petrol blue. 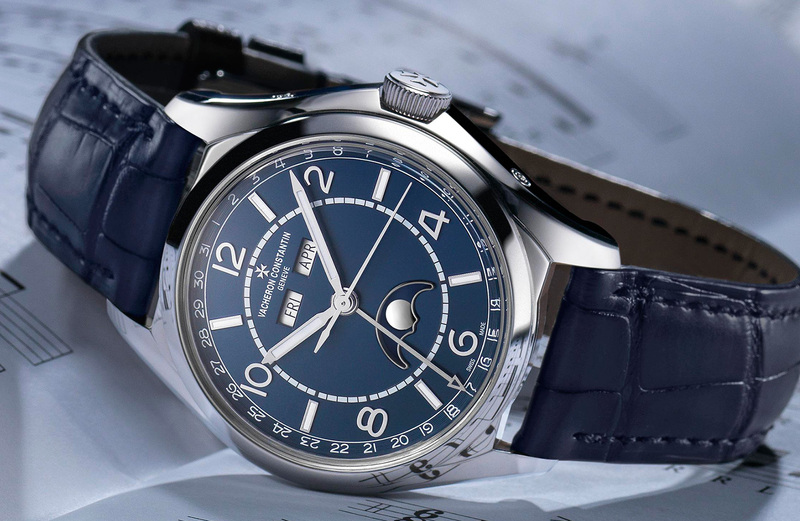 On this Complete Calendar model, the new colour, along with the traditional layout of day and month apertures at the top, and moon at the bottom, makes for a compelling blend of timelessness and style. Blue and gold is a combination that never gets old. 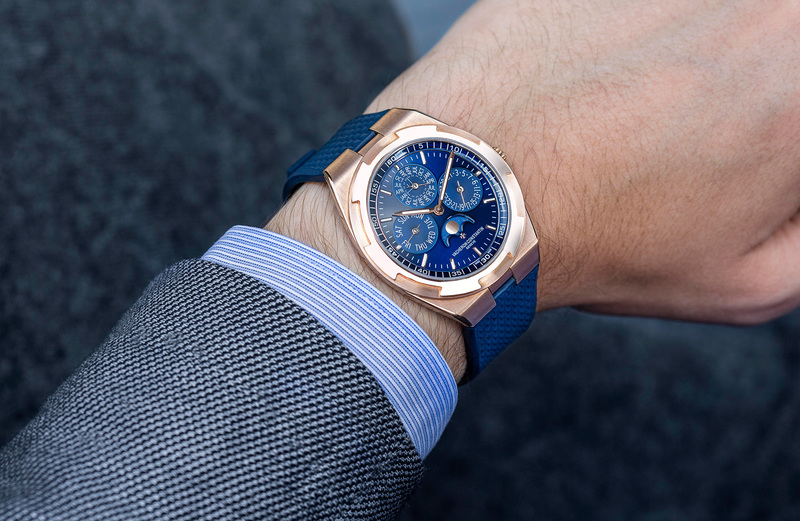 However, it is new for Vacheron Constantin’s Overseas Perpetual Calendar Ultra-Thin Blue, and boy does it look sports-chic with its new, richly lacquered face. But the pleasing new dial isn’t this watch’s only party trick, it lives up to its name with its 8.1mm-thin case — very impressive given the complexity of a full perpetual calendar. But there’s one more party trick to appreciate, in the form of an ingenious quick-change system that lets you swap from casual blue rubber to refined blue alligator in the blink of an eye. Thus far we’ve focused on the sportier side of the Vacheron Constantin collection – but here’s where things start getting decidedly dressy. 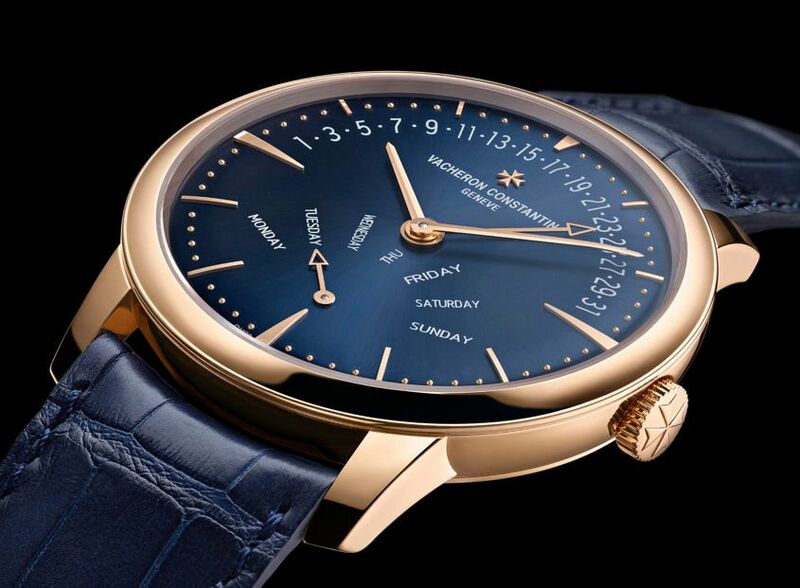 The Patrimony collection, as a whole, is a dress watch, par excellence. But if you were expecting us to show you a typical dress watch, think again. Not only does the midnight blue starburst dial add a touch of modernity to the equation, the fact that the retrograde day and date indicators add a sense of idiosyncratic whimsy to the scenario gives this 42.5mm fellow a definite twist on the usual.